In the operating theater, tools will generally perform the way they’re supposed to, but there can be complications stemming from factors in between. A scalpel will reliably cut, but a problem can arise from improper sterilization. Similarly, medical professionals carry out their jobs with the utmost precision, but one of the biggest pitfalls is in the space between them—communication. Before surgery: A consistently identified barrier to good communication during a hospital visit is between staff and patients. A study written up in the Nursing Times points out that although informed consent is a mandatory part of any medical procedure, it’s not thought of as a constant dialogue between staff and patient. While there are good reasons for this—very few patients are themselves medical professionals—many staff end up not informing those on whom they’re operating about everything that’s going on. Patients should be kept in the loop on any details that will affect their health, a fact that’s sometimes forgotten. During surgery: Between staff, one of the most common impediments to good communication is a poorly delineated chain of action. Numerous studies, including the ones highlighted by the British Medical Journal and Nursing Times, point out that filling gaps in in-theater communication has traditionally been delegated to nurses. Another study point out that this is because nursing is a traditionally feminine vocation, and like a lot of gendered labor, women have been saddled with the lion’s share of communicating. Since the job of a nurse is often more expansive than that of an anesthetist or a surgeon, it’s understandable that he or she may be given these duties. However, it’s crucial to factor this added labor into the nurse’s job description. If nurses are acting as information conduits, they should be compensated for this and receive additional dispensation. If not, the risk is causing nurses to burn out. In the operating theater, participants understand the technical aspects of everyone’s respective roles. Yet, it’s in the realm of interpersonal communications that there’s room for easy improvement. 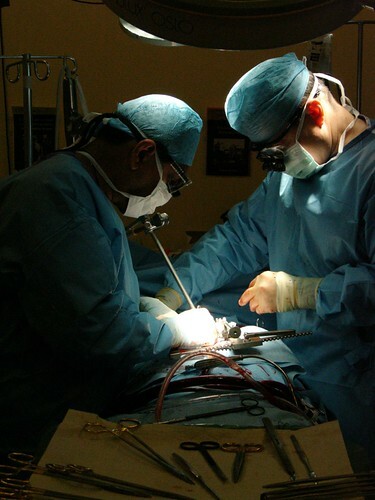 Against the stereotype of the domineering surgeon, one study found that a simple rhetorical change could make surgeons more effective communicators. By speaking as an advocate of the patient—making requests in relation to the patient’s needs, rather than their own edification—a surgeon would create a more positive, egalitarian impression of everyone’s position. It’s a simple change that can ensure a trouble- and stress-free working environment. After Surgery: Once a patient has entered the post-surgery recovery stage, there is still the possibility of complications arising. A lot of hospitals are plagued by a low staff-to-patient ratio, but there are ways to work around this. One medical journal points out that the simplest and most popular solution is also a refreshingly low-tech one. The introduction of safety checklists, which creates accountability and a single place for collating information, has had a positive effect on patient recovery. The important aspect of a system like this is that it creates a single repository documenting a patient’s experience during their stay. Checklists can also make a huge difference during surgery, too. Dr. Atul Gawande of Harvard Medical School, in a quest to find a cheap, scalable way to improve patient health, has claimed that a 19-point checklist, including questions like “is this the right patient” and “what operation are we performing,” can reduce surgical deaths by up to 40%. Tips for good communication are something that surgeons and staff can implement this very day, because the task is personal as well as technological. Effective communication in the operating room can be achieved the same way everything else is—through professionalism, diligence, and teamwork. Breaking down communications barriers is everyone’s job, and these tips will make work more harmonious for all involved. However, there’s a technological aspect, too, and that’s where Adora’s pleased to come in. Our cutting-edge medical solutions give medical staff the tools they need to perform their jobs and communicate seamlessly. Have you or your co-workers found any surefire ways to communicate more effectively? Let us know in the comments below! 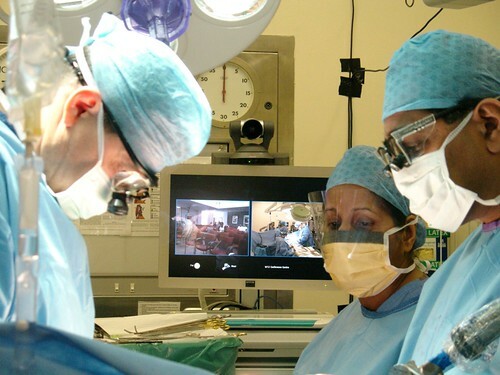 Communication in the operating room is essential and one of the keys of a successful surgery. I my experience during 30 years, I have seen how communication safe time,money, and patients receives quality of care. Establishing a professional communication is an effort of the whole team. Many times the staff is not receptive to communication because of stress related and many other factors that interferes with the communication. The best way of communicating in the operating room I have found is by approaching the staff announcing the intention of the communication and using an approach of purpise and respect. I use and communication through questions and in a format of a report. I announce the intentions of the communication (report), follow by details of the surgery, the spectations of the team , the plan for the next step and the end of the surgery. Announcing the intention of the communication is vital because usually keep people aware of the seriousness of the communication and keep professionalism in check.